I love traveling to other states and learning about the food that is popular in those states. You learn a lot about the people who live there and it often tells you a lot about the history of the state – just with food! I recently went to Indiana to hang out with some awesome folks in agriculture and also enjoyed the food while I was there. My hubby is from Indiana so I knew all about enjoying a big ole fried pork sandwich and a slice of sugar cream pie with a cold glass of root beer. And as you move up north, where a lot of Polish immigrants settled, you’ll see a lot of kielbasa and sauerkraut. 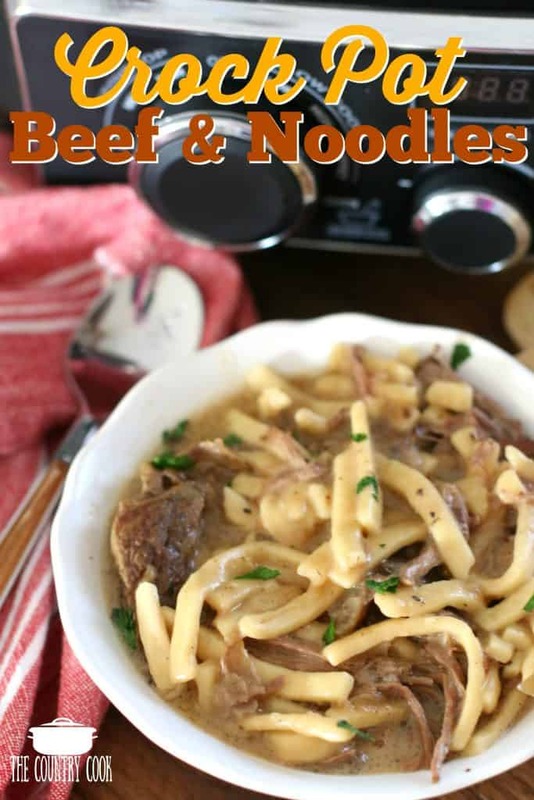 But one item I didn’t know about was beef and noodles. Now, unfortunately I didn’t get to eat any of it while visiting but I noticed it on a menu at a diner we visited (where I had the pork sandwich – yum!) I also noticed a lot of folks had apparently ordered the beef and noodle dish because it came out of the kitchen in a pretty heavy rotation. So I decided I would do a bit of researching on this dish when I got home. And I soon found out, like any other classic dish, it has about a thousand different variations. 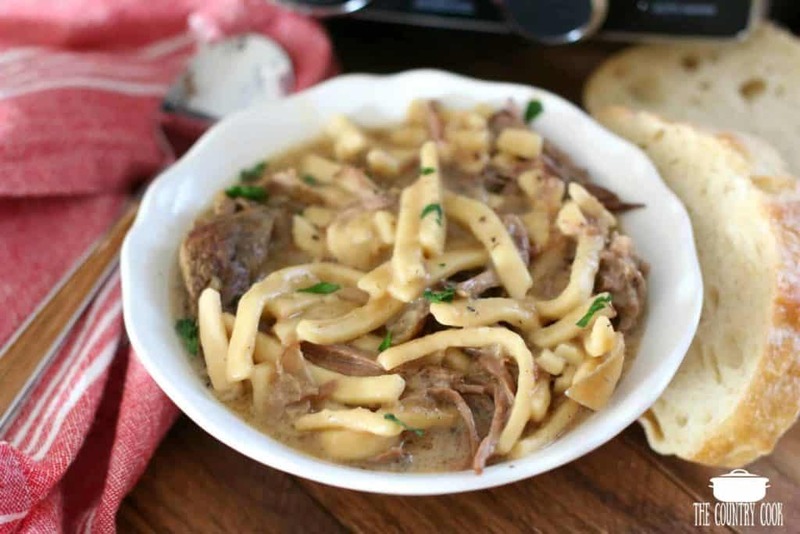 But the base of all the recipes were similar: slow cooked beef in a thick broth with egg noodles. I figured that I could work with that so I took my base for beef stew and just built on that. And I cooked it all in the crock pot, because hey, we all love crock pot recipes and I wanted that slow cooked, tender beef flavor. It turned out pretty darn good if I do say so myself! Season both sides of chuck roast with steak seasoning and salt & pepper. Rub it in well. In a large skillet over high heat, add vegetable oil. 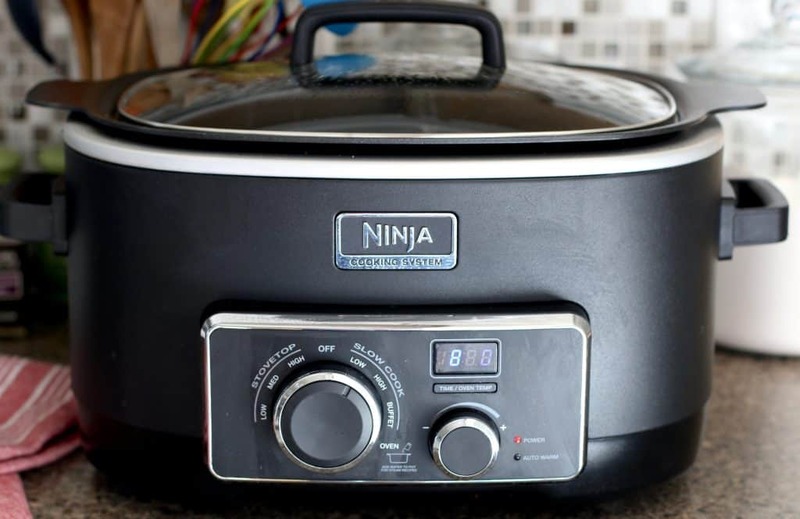 I’m just doing this right in my Ninja cooker since it has a sauce option. Once oil is heated, add chuck roast. It should make a nice, loud sizzle when you put it in. Brown for about 2 minutes, then flip it over and brown the opposite side. Brown for a couple of minutes then turn off heat. 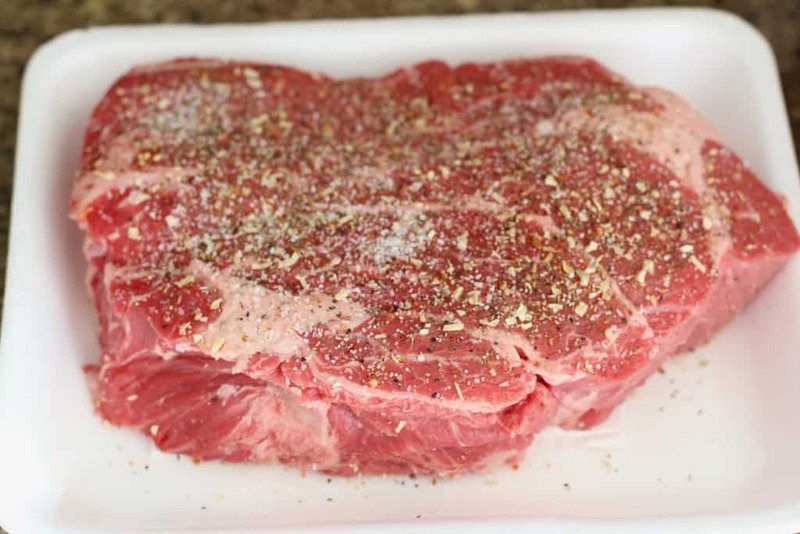 Transfer chuck roast to your 6 quart crock pot. Add in diced onion. Cover crock pot and cook on low for about 6-8 hours. No additional liquid needs to be added. 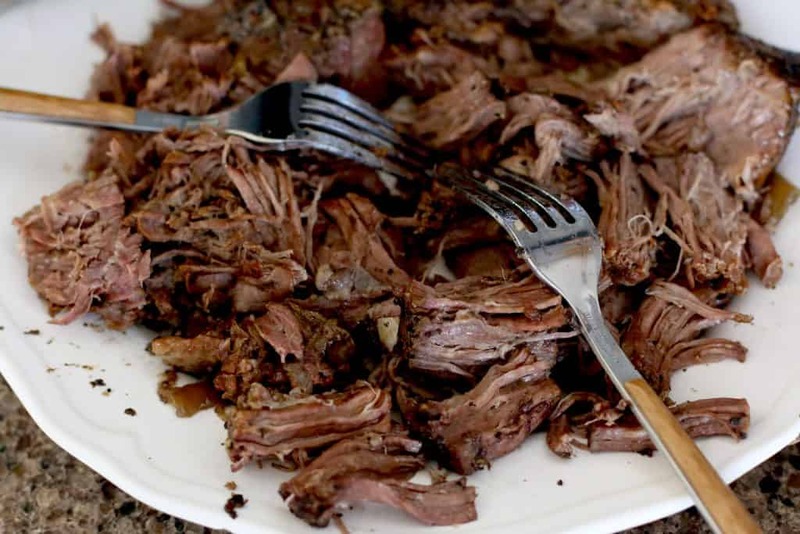 After roast has cooked, pull it out and put it on a plate (leaving juices in the crockpot). Begin shredding the beef, taking care to remove any excess fat bits. 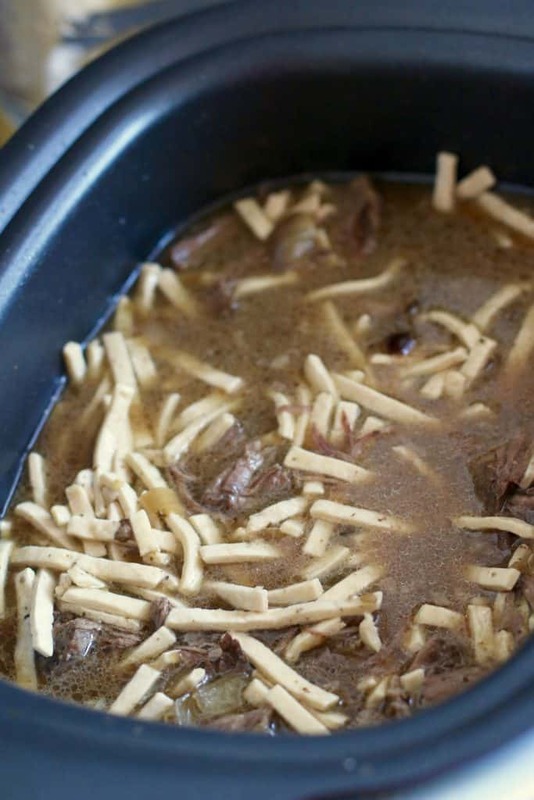 Place the shredded beef back into the crock pot. 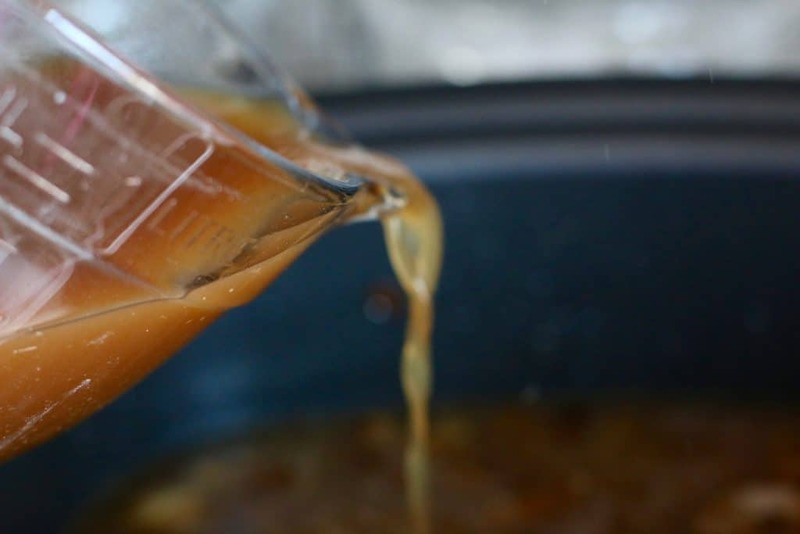 In a bowl, whisk together the water, Better than Bouillon, Worcestershire sauce and minced garlic. Pour mixture into crock pot over beef. Stir in bag of frozen egg noodles then cover crock pot and cook for an additional hour on low until noodles are fully cooked. Optional: During the last 15 minutes of cooking, stir in 1/2 cup heavy cream. This just adds a bit of creaminess to mixture but is not absolutely necessary for good taste. 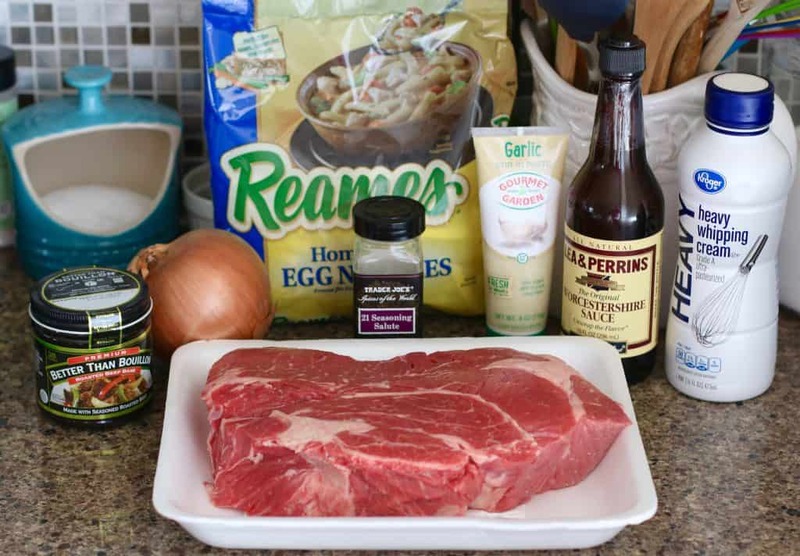 Cook’s Notes: I am told, by Krista from Everyday Mom’s Meals, that many Hoosiers serve this over mashed potatoes with a side of corn! Season both sides of chuck roast with steak seasoning and salt & pepper. 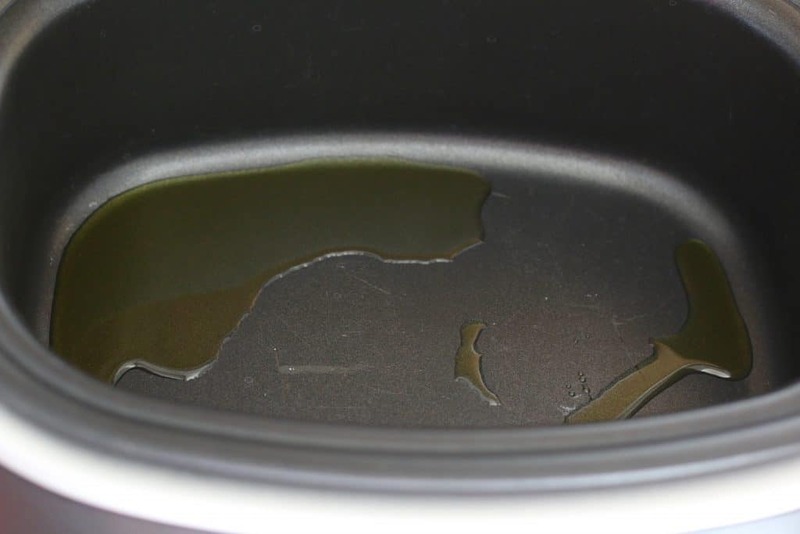 In a large skillet over high heat, add vegetable oil. 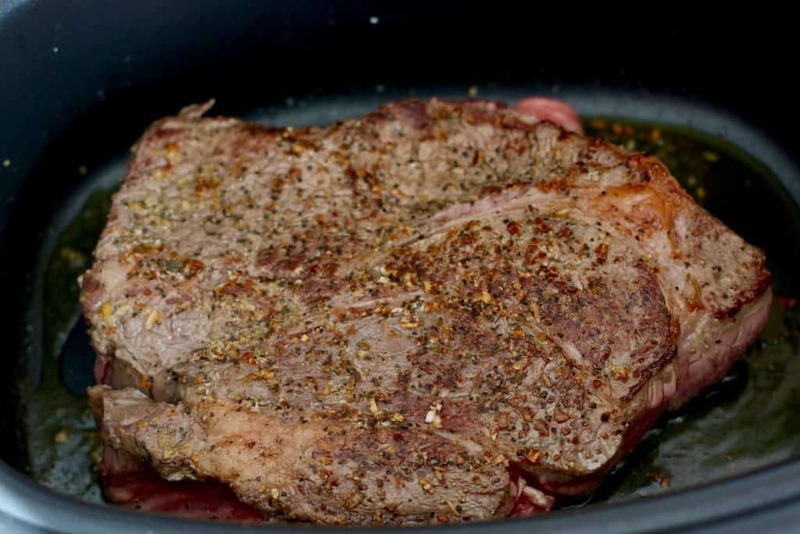 Once oil is heated, add chuck roast. It should make a nice, loud sizzle when you put it in. Brown for about 2 minutes, then flip it over and brown the opposite side. Brown for a couple of minutes then turn off heat. 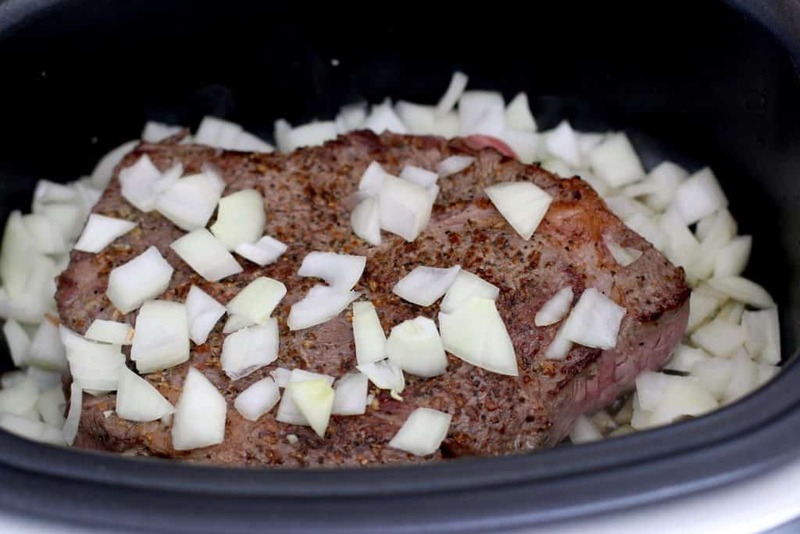 Transfer chuck roast to your 6 quart crock pot. Cover crock pot and cook on low for about 6-8 hours. No additional liquid needs to be added. After roast has cooked, pull it out and put it on a plate. 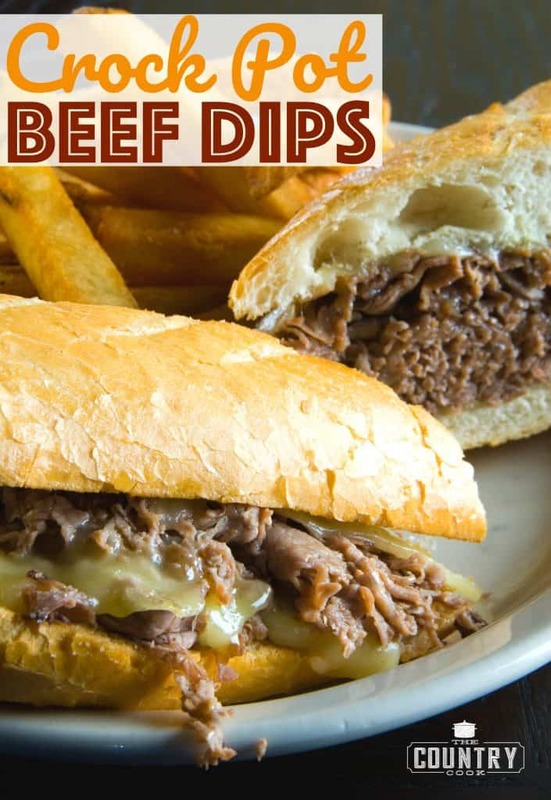 Begin shredding the beef, taking care to remove any excess fat bits. 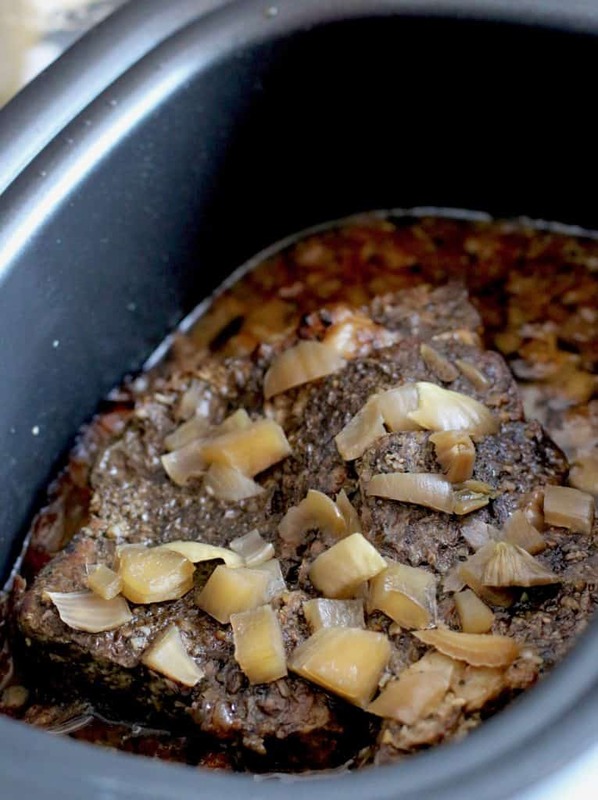 Place the shredded beef back into the crock pot. Stir in bag of frozen egg noodles. Stir then cover crock pot and cook for an additional hour on low until noodles are fully cooked. Optional: During the last 15 minutes of cooking, add in 1/2 cup heavy cream. Can half and half be used instead of heavy cream? I made this for dinner today and it was delicious and easy. Perfect for a cold winter’s day. 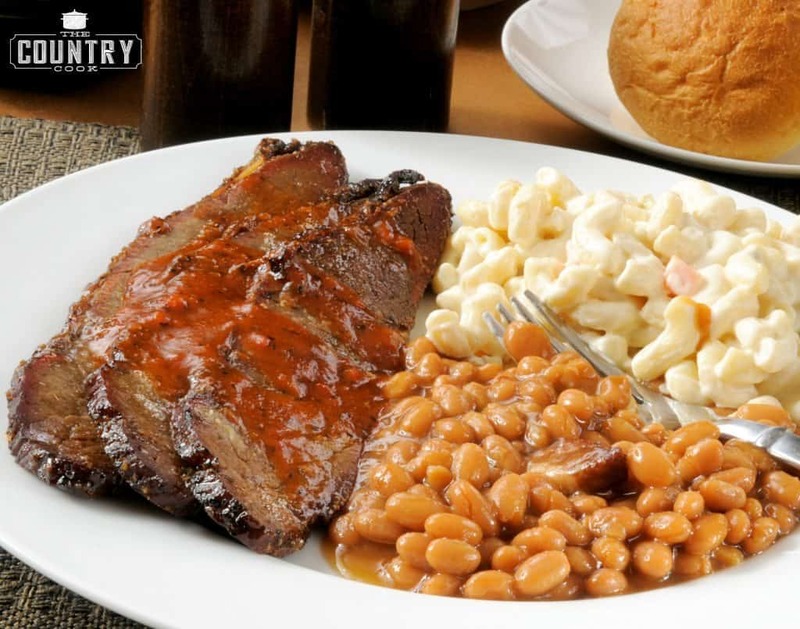 I’m from Louisiana, home of gumbo, jambalya, and all things cajun, but my dad was from northeastern Kansas and this was one of his favorite meals. My grandmother taught me how to make the homemade egg noodles (which are best) for the dish one year during a visit up north and after that I made it for my dad every year for his birthday. It was always served over hot creamy mashed potatoes or it just didn’t taste right. He died in 2010 and I havent made it since. Thanks for reminding me about this old favorite, I think I’ll have to make a batch very soon. 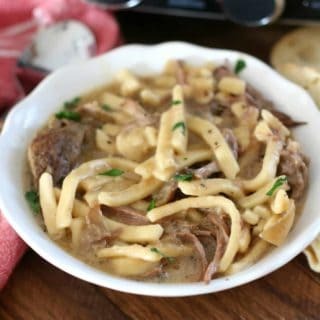 I have 2lbs of stew meat I would like to use to make this. Should I add some liquid? I don’t know if stew meat will produce enough juices like a roast would. Thanks! I was reading over the previous comments again and I saw you suggested adding some beef broth if the roast doesn’t have much fat so I’m definitely going to do that because I’m pretty sure my stew meat doesn’t have much fat on it. I made this tonight- yummy! I substituted venison for the beef, and 1/2 and 1/2 for the cream, because that’s what I had on hand. And yes…. as a Hoosier I served it with mashed potatoes! Yes! I love my Hoosiers! Ha! Love that you made it with what you had on hand!